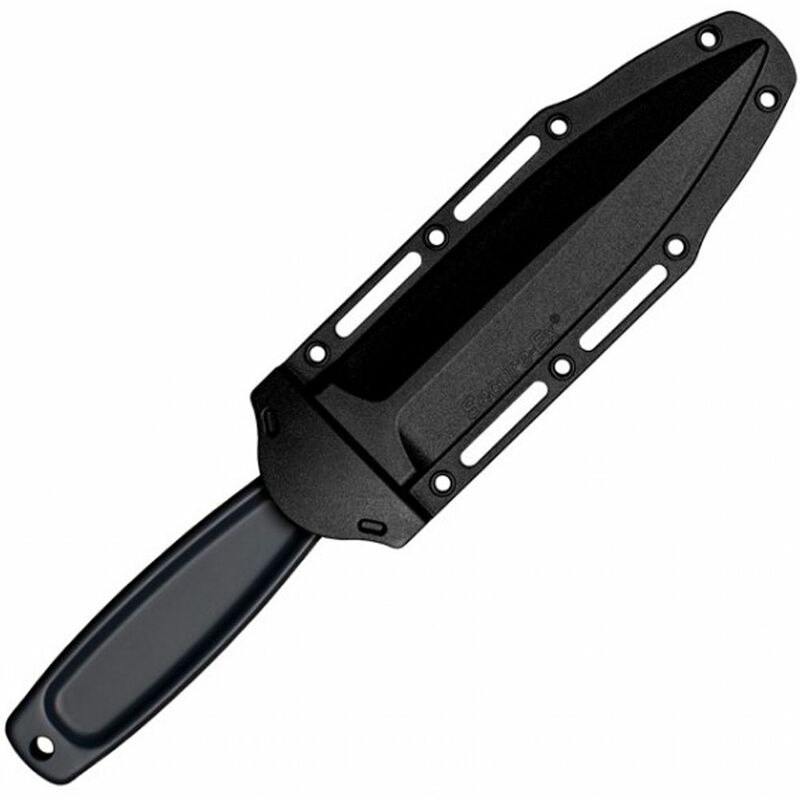 Suit up and boot up for self-defense with the Drop Forged Boot Knife. The entire frame is constructed from a single piece of 52100 high carbon steel with a sleek matte-bronze finish. True to the traditional boot knife design, it features a double-edged spear point blade that narrows to a razor-sharp tip. 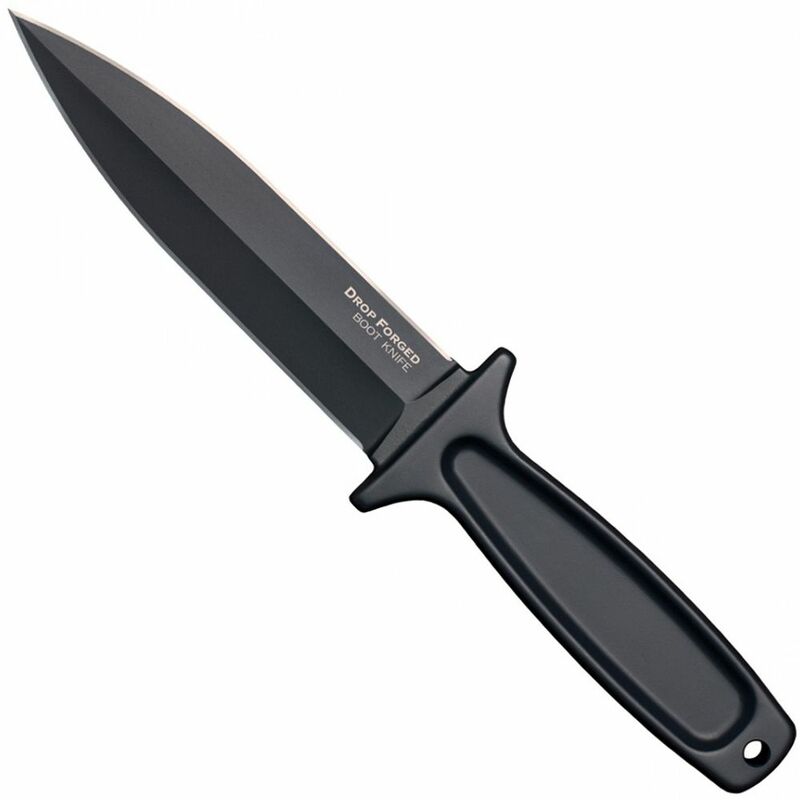 The majority of the knife’s weight rests in the handle and guard, providing intense piercing strength. With its thin profile and hollow grip, it carries completely flat against your body. 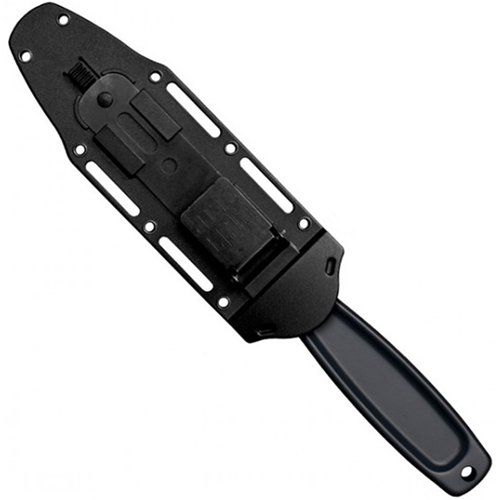 A Secure-Ex sheath is included with an Ulti-Clip for secure, discreet carry in almost any position.